Glows in the Dark!! Front of the shirt as pictured. T-shirt background is dark navy blue. 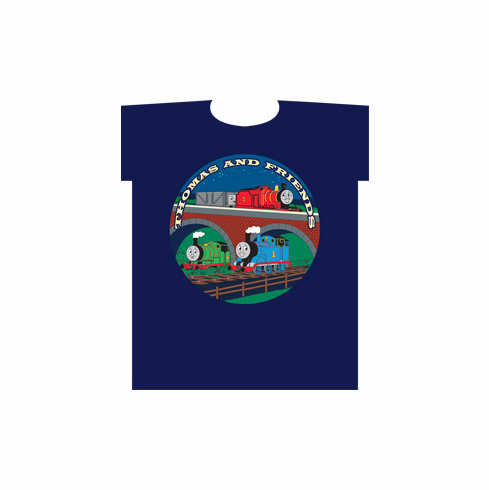 Back of shirt contains small circle with the #1 and the glow in the dark words "Thomas & Friends"